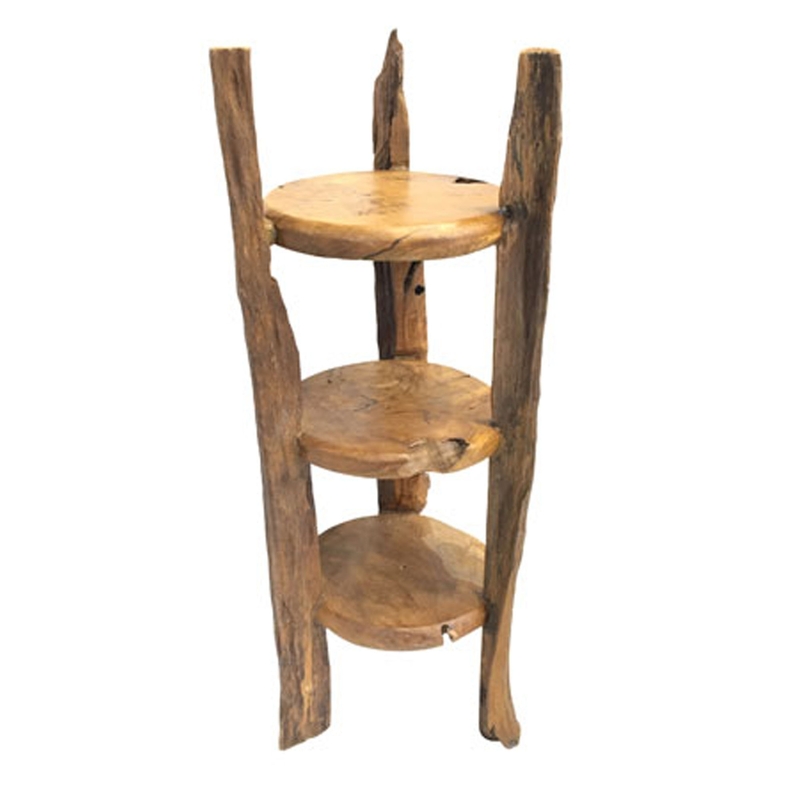 We are very proud to introduce this gorgeous Teak Root Shelf Stand Round. This shelf stand has a beautiful design that'll be sure to impress, as well as creating a contemporary atmosphere in any home. This piece contains 3 shelves, making it a very practical product as well as a modern and stylish one.